October has been established as National Bullying Prevention Month. Parents should take the opportunity this month presents to educate their kids about the differences between bullying and teasing, as it can make a huge difference in their children’s lives. Older generations often dismissed verbal bullying as simple teasing or with phrases like “Sticks and stones may break your bones, but words can never harm you.” Even when the bullying turned physically violent, the bully’s victim was generally advised to “buck up” and hit the bully back. Not only are both of these responses ineffective, but they also can have dangerous results for the child or teen being bullied. 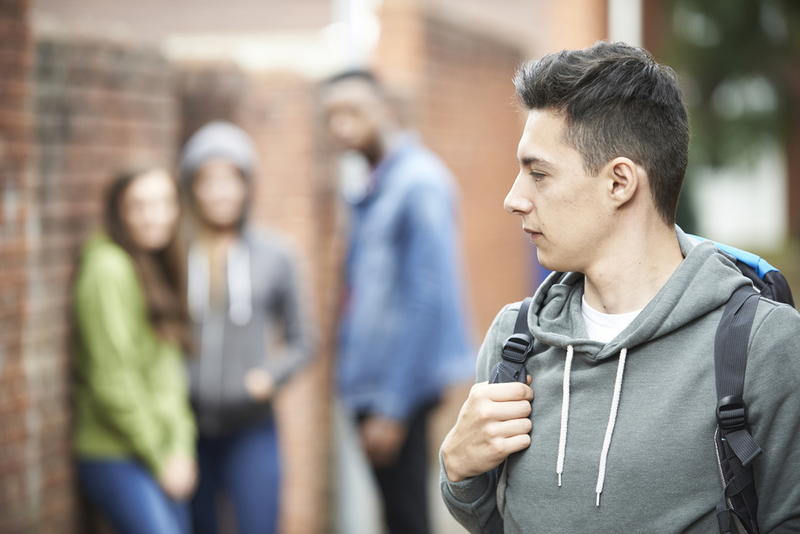 A group of researchers took data from the 2011 Youth Risk Behavior Surveillance System and created a behavioral model on what happens to bullied students. Their results were alarming, indicating that children who undergo bullying are inclined to suicidal ideation, suicide attempts, substance abuse, violent behavior, and depression. There was no difference between the harmful effects of in-person bullying or cyberbullying, as the researchers indicated that both were equally harmful. With such serious consequences for bullying, it becomes that much more important for parents to help their kids understand the difference between teasing and bullying. As there can be a fine line between the two behaviors, it is critical that children understand how to avoid crossing that boundary. Teasing is a form of playful communication. The intention is not to harm the other person but instead to communicate values, ideas, and constructive criticism. For teasing to be appropriate, friendship or other close relationships should exist, and the teasing should stop when the person requests it. Verbal teasing – Bantering, teasing talk between friends and family is a common form of bonding communication. It can also convey some constructive criticism. For example, say a child pulls out a crumpled homework assignment. A friend may tease them, saying “Whoa, I guess I’m never loaning you a book!” The playful critique is unlikely to hurt a friendship and can help reinforce that the other child should take better care of their property. Physical teasing – This form of teasing skirts often skirts the fine line between teasing and bullying. If a few friends are playing keep away with another person’s belongings, it is teasing as long as the people who are teasing stop when requested. If either of these teasing behaviors was done by someone who is not a friend or is an active antagonist of the recipient, then the situations would be bullying. Determining what is bullying for your children requires them to recognize the three characteristics of bullying. As bullying can come in many different forms, having your kids and teens identify the characteristics of a bully will help them determine what is bullying faster. A pattern of bullying has been established – Bullies may not target the same person all the time, but they will create a pattern of saying or doing hurtful things to others. The bullying has hurt the bully’s target – Bullying is subjective, so what may hurt one person may not hurt another. However, if the target of the action is hurt, then the action is considered bullying. Bullies create an imbalance of power – The power imbalance that bullies create places the bully in a position of power over the target. This power structure is a large factor in why many troubled teens turn to suicidal ideation, depression, and violent behavior, all in an effort to escape the bully’s power. Intervene between the bully and their target – Research shows that peer intervention can stop more than half of all bullying situations. This intervention can mean that your child steps in to distract a friend who is bullying someone or steps up to support the target of the bullying. Report instances of bullying – Whether they are the target of bullying or see someone being bullied, your child should report the instances of bullying to a trusted adult. Do not promote bullying behavior – Bullies often make cruel jokes and humiliate their targets while expecting others to laugh. Make sure your child knows not to feed into this behavior by laughing or joining in. Bullying prevention starts at home. If your child is being bullied at school, contact your child’s school counselor to work on resolving the issue. If needed, the counselor can bring in the school administration and your child’s teachers along with the bullying child and their parents to help resolve the bullying. By working together, we can all work to protect our children from the consequences of bullying.